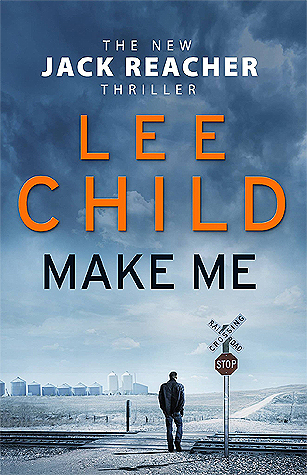 It took a while, but the world finally made us go back to Lee Child, so here we are: Make Me. Yes, down these manicured streets a man must go who is not himself manicured, who is neither wearing cologne nor designer clothes. The detective in this kind of story must be such a man. He must be a complete man and a common man and yet an unusual man (pauses, sips coffee, explains joke). 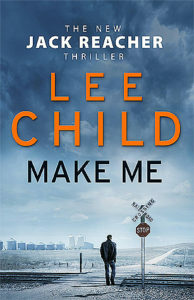 So it’s another long walk with Jack Reacher, full of long descriptions of diners, short rants about leg room on airplanes, and a whole lot of bottomless cups of coffee. Oh, and bone-splintering acts of violence. Lots and lots of those. Mostly those, actually. Not a whole lot of anything else that I can remember, actually. But I’m certain that for a certain kind of reader, it’s just a non-stop ride of thrills and chills. For us, it’s an occasion for bellyaching. So all aboard the IDEOTV Train — next stop, fun! CONTENT WARNING: This book’s plot revolves around self-harm and suicide and people’s plans to take their own lives, and includes some descriptions of torture. The National Suicide Prevention Lifeline phone number is: 1-800-273-8255.